A report has warned of the consequences Brexit brings to the South West's "vital" sheep industry, which could lead it into a "very vulnerable position". Sheep farming is a vital part of the region’s economy and of the utmost importance to the environment, according to the report compiled by the Rural Business School at Duchy College and commissioned by the NFU. Across the South West there are 7,389 sheep farms which have a total of around 3.1 million sheep. The region produces just under 28,000 tonnes of sheep meat, worth £207m. These farms employ 7,000 people directly and there are almost 23,000 other jobs linked to the industry, which contributes nearly £60m to the economy in terms of employment. Sheep farmers in the region have also played a major role in protecting the environment. The report estimates that farmers have planted 627km of hedgerow, which, if they were laid end-to-end, would stretch from Penzance to Blackpool. Across England the sheep sector is worth £291m to the economy, which equates to 34,000 direct on-farm jobs and a further 111,405 positions in allied industries including shearers, vets, machinery suppliers and feed companies. But the report shows that the sheep sector has the potential to be the hardest hit by Brexit. According to the report, Brexit could put the sector in a "very vulnerable position" because of the likelihood of reduced BPS payments. Many sheep farms depend on these payments. Farmers also hold concerns over lower prices for sheep meat, due to increased domestic supply if less is exported to the EU. 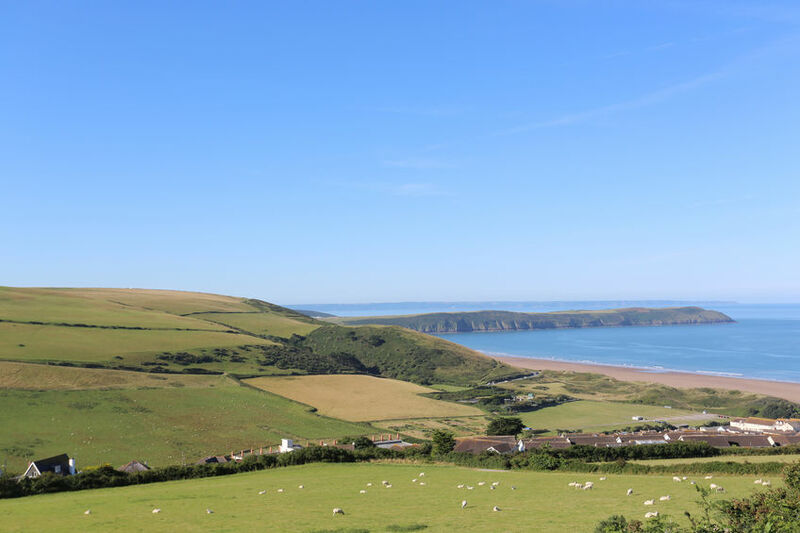 Colin Rowland, a Devon sheep farmer and chairman of the South West NFU livestock board, said the report made it clear that sheep farming has a great deal to offer for food, the environment and the economy in rural communities. But he said the affects of Brexit could challenge the industry due to the dwindling foreign labour supply and a potential drop in funding. “In this region, we grow grass extremely efficiently. We have a relatively warm climate, more hours of sunshine than any other part of the UK and plenty of rain – ideal for raising West Country lamb on a diet which has the added benefit of being a source of omega-3, vitamin E and many more vital nutrients in the human diet,” Mr Rowland explained. “But the report also shows that the sheep sector has the potential to be the hardest hit by Brexit, with challenges to rural funding, the availability of labour in the processing sector and the damage that could be done if we do not have access to the EU export market and fail to gain new markets for our sheep meat globally. The region's MEP Molly Scott Cato said Brexit could "spell disaster" for sheep farmers. “The future facing the farmers I represent has been a source of concern to me since the Brexit vote. The report highlights that the reduction or removal of current EU CAP subsidies will amount to a a serious threat to the viability of the sheep sector,” Ms Cato said. The South West MEP said the current high environmental and animal welfare standards that British farmers adhere to mean that they will be vulnerable if forced to compete with cheap low-quality imports. She urged the NFU to "show leadership" in seeking to stay within the Single Market or reverse Brexit through a referendum on the deal.